Bug Repellent Lotion Stick 1 oz. Cranberry Pomegranate Lotion Stick 1 oz. Eucalyptus and Lemon Lotion Stick 1 oz. Head Ache Lotion Stick 1 oz. Lemongrass Herbal Lotion Stick 1 oz. Orange and Cinnamon Lotion Stick 1 oz. Orange Cream Lotion Stick 1 oz. Rosewood and Vanilla Lotion Stick 1 oz. 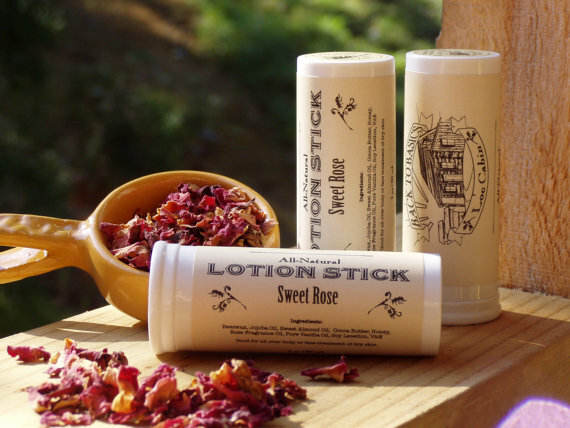 Sweet Rose Lotion Stick 1 oz.